This is the seventh in a series of posts reporting on the Wildlife Conservation UAV Challenge fact-finding mission to South Africa. CHALLENGE UPDATE: Over 85 teams from 20 countries and 6 continents have signed up to compete. 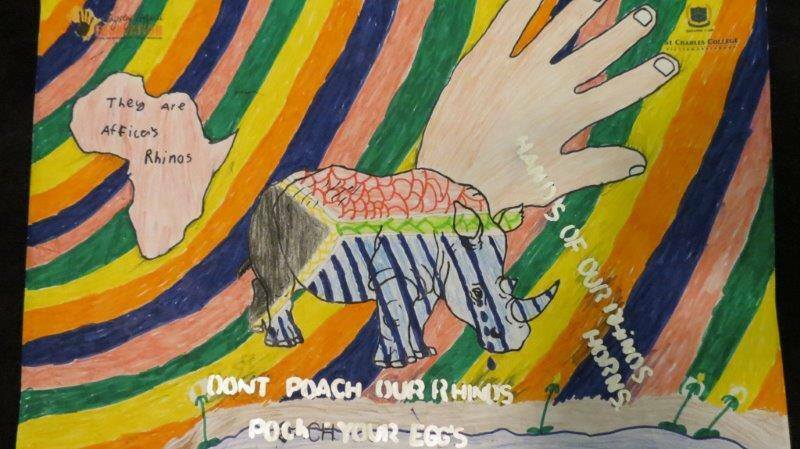 Africa’s most colorful modern day explorers, Kingsley Holgate with children featuring their artwork against poaching. 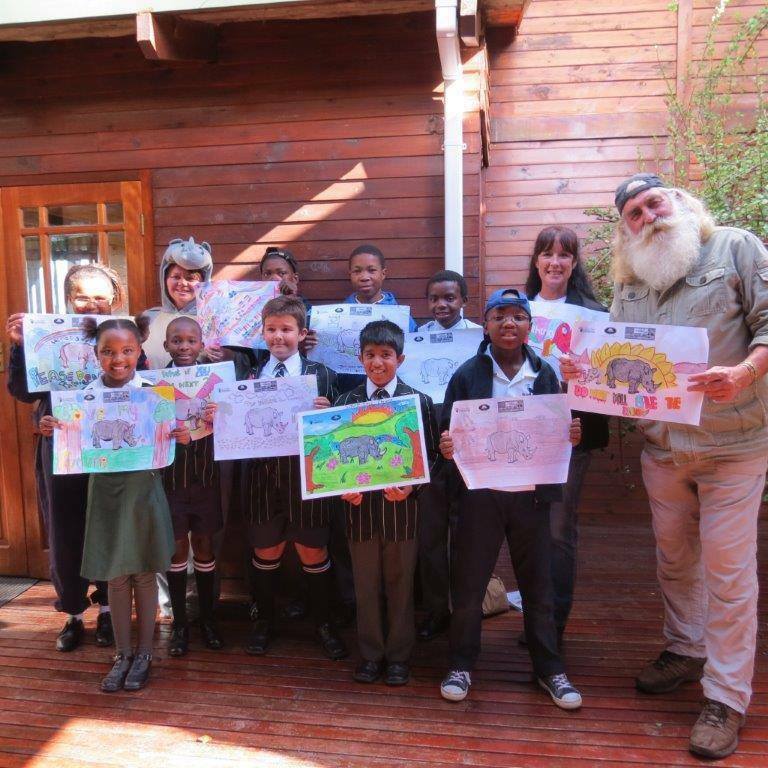 EASTERN CAPE, SOUTH AFRICA — The passing of Nelson Mandela weighs heavily on us and we thought it fitting to highlight his lifelong commitment to wildlife conservation. In 1995, as president of South Africa, Mandela supported the founding of Open Africa, a group that develops tourism to boost the local economies of impoverished African communities. Without this economic tie-in, wildlife conservation would not be receiving the type of attention it enjoys today. 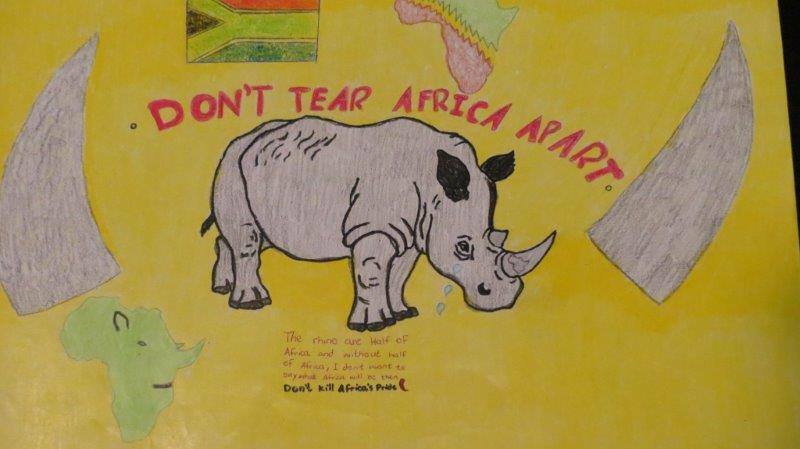 In 1997, Mandela collaborated to launch the Peace Parks Foundation, which supported the concept of transfrontier conservation areas (TCFAs) (cross border areas identified as being highly valuable for conservation). So as a fitting tribute to a great friend of the animals, let’s highlight some of most important educational initiatives that are raising awareness for wildlife conservation and counter poaching. 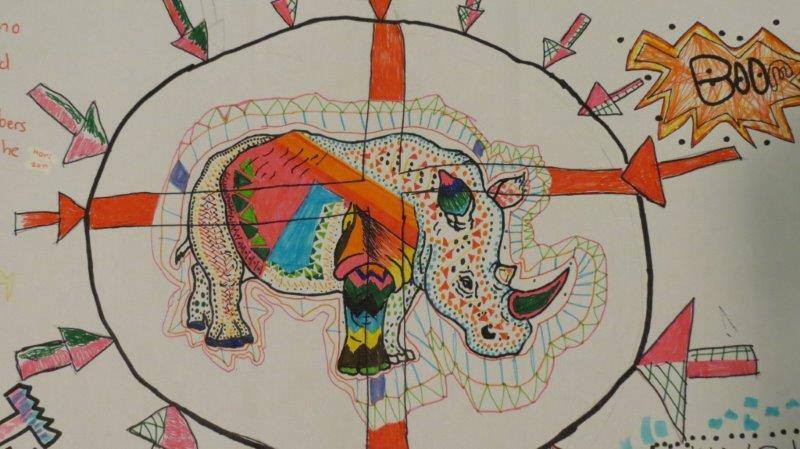 Efforts like Project Rhino and the Kingsley Holgate: Voices of Children Rhino Art help bring down to the community level. 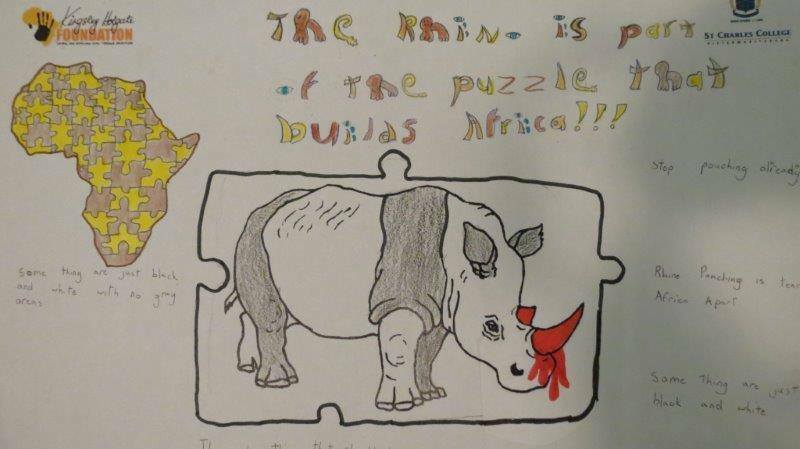 The program seeks to expand to more parts of Africa, please consider donating. As I learned from speaking with organizers, the children wrote the song featured in this video. 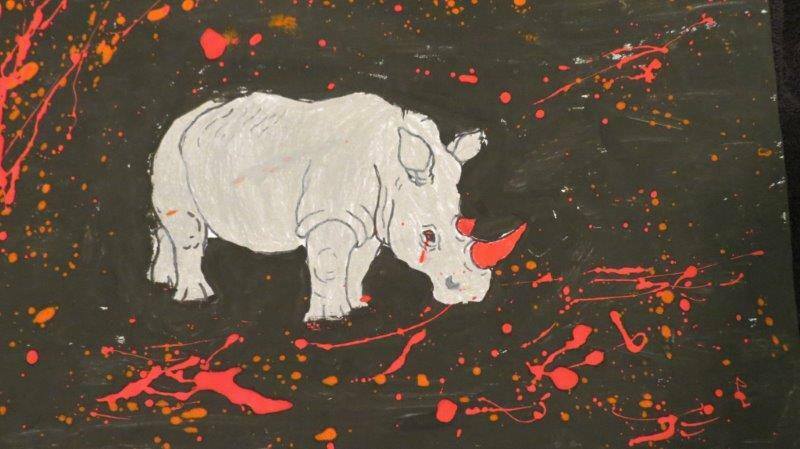 A Shangaan child, living in a Mozambique village close to the Kruger National Park border asked: “God stop the killing of Rhino. It’s a bad thing. Already I have lost two brothers,” she said, referring to her brothers having been shot by anti-poaching units in Kruger. Her mother fetched them in body bags from the Giriyondo border. The Wildlife Conservation UAV Challenge now has over 85 teams. The word is getting out. We believe we are at a critical mass where important innovation is possible.